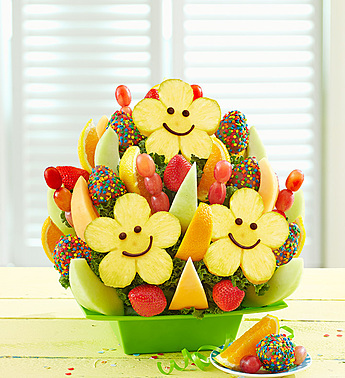 Go the extra “smile” with this fun, fruit-filled arrangement! A party-ready mix of fresh strawberries, juicy orange wedges, grapes and two kinds of melon are joined by the happiest pineapples you’ve ever seen. For a limited time, share even more with twice the fruit for the same price!